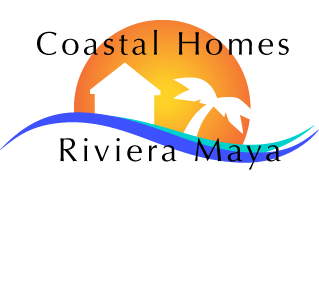 We work to make your purchase of property in the Riviera Maya a smooth process. We will help you define a budget and find a residence that provides the features you desire. We are buyer’s agents, working for you, to get the best possible terms for your sale. Our assistance goes beyond what you might expect. We will continue to provide service beyond the closing of the sale. Once you become an owner of a beautiful Riviera Maya property, there will be a number of details and tasks to accomplish in order to make it your home. Our real estate service goes beyond the final transaction of your purchase. For us, the relationship we form with you does not end at your closing. We will provide Extended Service to assist you. This includes help setting up your utility accounts for electricity, gas and water. We will assist in setting up your phone, cable and internet services. We can direct you to a variety of stores where you will find furniture, linens, housewares, accessories and art. We remain available to guide you with anything you may encounter in getting your new home set up and have consequently formed long-term friendships with our clients. The Riviera Maya has been home to us for many years and you will benefit from our experience and resources. It can be a challenge to get established. We are homeowners here and have experienced the process ourselves as well as with our many clients. We will make the transition as smooth as possible so you can readily begin enjoying the many benefits of owning your home in the Riviera Maya. You can count on our real estate team to go above and beyond expectations. We provide professional, comprehensive and prompt service throughout the process of buying your dream home in Mexico. My husband and I had the opportunity with work Cheryl and Deanna two years ago when purchasing a property in Puerto Morelos Mexico. Purchasing property in a country you are not from can be somewhat daunting. Cheryl was readily available, had a positive attitude and patience with each and every one of our questions and concerns. She made the time last minute to show us the condo we were interested in, so we could see it before our flight. These ladies went above and beyond to help us through the step by step process of purchasing real estate in Mexico. Because we were so far away they were instrumental in making the paperwork process go smoothly and seamless. Should we ever go back to the housing market we would not hesitate to contact these fine ladies again. We cannot say it enough, without the extreme professionalism and help of these two great ladies we would not have found and be living in the place of our dreams today.